But what happens if the loader forgets to start the logger? Indeed, according to DeltaTrak hard data, approximately 8% of in-transit loggers are never actually started! If this occurs, there would be no assurance or any written record that the produce was transported at contracted temperatures and that the receivers are getting the food quality they signed up for. Until now. 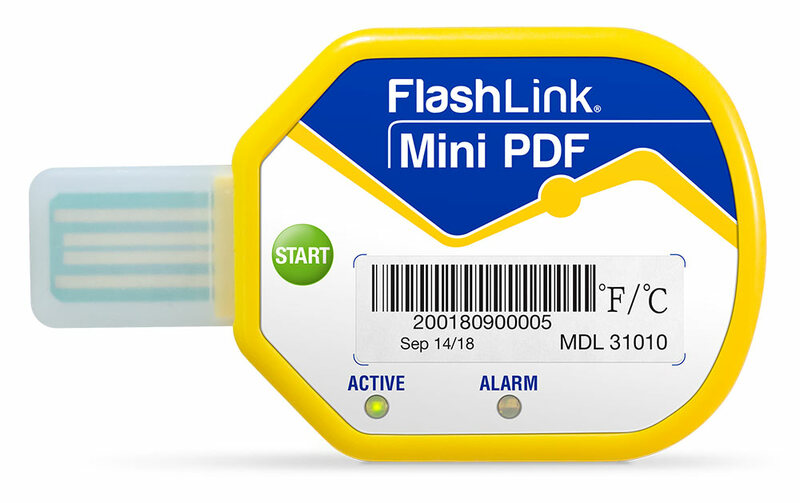 The FlashTrak® Mini PDF In-Transit Logger features patented Shadow Log®, a fail-safe technology that will record temperatures for your trip--even if you forget to start the logger! This compact, single-use logger ensures that receivers will always have a complete trip report when a shipment arrives. The built-in USB connector and on-board software make the Mini PDF Logger a true plug-and-play logger for downloading trip history. No adapters or downloading of separate software is necessary. Ultimately, even if you forget to start this true plug-and-play logger, no problem, DeltaTrak has you covered.